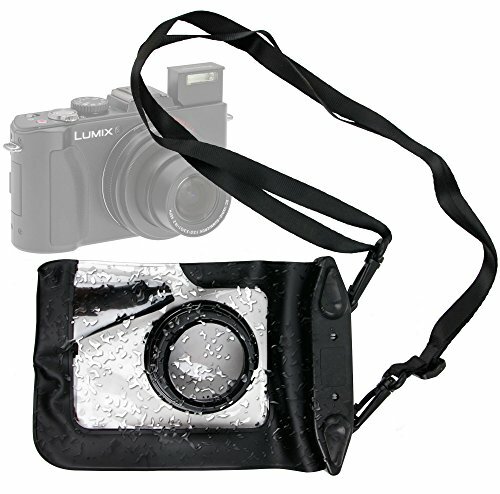 DURAGADGET's latest addition to our bestselling compact camera lines is this brand new and exclusive, premium quality pouch-style, water-resistant case - lightweight, contoured and ultra-portable, our feature-packed sleeve offers full functionality and security for your expensive new camera. DIMENSIONS - H: 115mm x W: 85mm x D: 25mm. Lens Compartment - H: 20mm x Diameter: 35mm. Ergonomically-designed, our case features an exposed 'index finger' cut-out for use of your compact camera whilst it's inside the case!